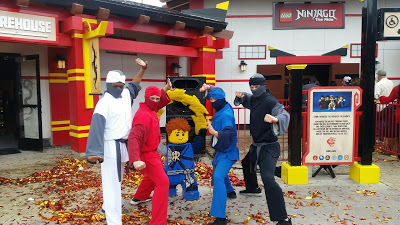 Ninjago World Opens at +legolandcalifornia on May 5th! Put your Ninja Skills to the Test! Get in on the action on May 5th when Ninjago Word officially opens! 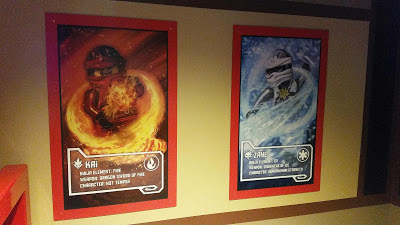 We were able to preview Ninjago World and the Ninjago Ride late last week. Ninjago World is right next to the first aid building when you walk in, to the right side of Legoland Park. 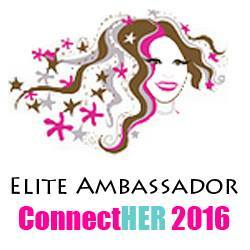 The Kick off opening ceremony event was amazing! With smoke, fire, lighting, Ninja action and confetti blasting through the air, everyone was in awe! So cool... a Sensei introduced the four main ninja the area is created around: Kai, Jay, Cole and Zane, and they each entered the Asian themed courtyard representing each of their elements: fire, lightning, earth and ice. 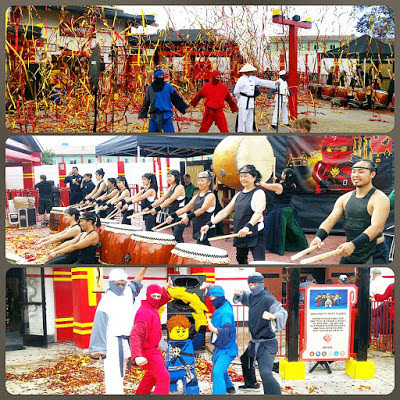 From the drums to the Ninja's showing off their skills, the energy was what brought it all to life. Everyone was so excited to be part of and introduce us to Ninjago World! The amazing eats that will be served in the new eatery in Ninjago World are very Asian Street Food Flavor inspired and on point! 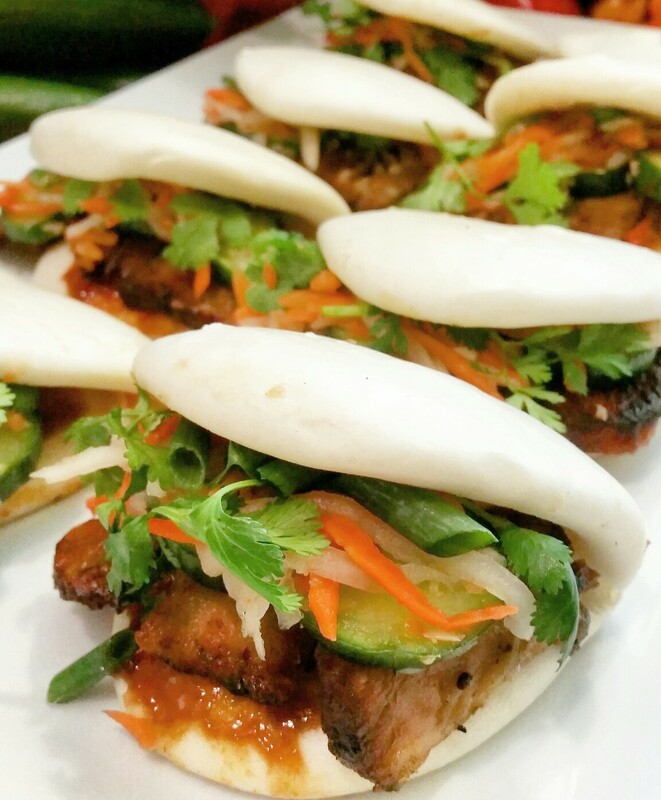 I thought the Banh Mi sandwiches on fresh baked baguettes & steamed Bao Buns with crispy pork belly, lemongrass chicken or baked sweet chili tofu, are very authentic! Find these items at Ninja Kitchen... Loved it all! Also a new retail outlet, Wu’s Warehouse, will be open as you exit the ride! The new Ninjago the Ride - We all loved it! From adult to kid everyone was enjoying the fun of the 4D action on the Ride. Sensory tip: If your kiddo is ASD or Sensory, please show them my video to give them a heads up - you can find it HERE! I was a little nervous about how my son would react to the lights, darkness, 3D screen and 3D glasses. I was so pleasantly surprised to see him LOVE it! He did well with the darkness cause there is enough light coming in and out as part of the rides themed fun. Very similar to what your would do and see in Monsters Inc or Toy Story Rides at Disneyland, but with much more action and the use of your own hands to be part of the ride! Autism Tip: The lines will get lengthy once May 5th is here. The Disability Assistance pass that is easy to use (see my previous post on Autism Tips in Legoland) will come in handy so that your little one can enjoy the ride but not get frustrated or overwhelmed in the line. Watch the video if your ASD child is sensitive to loud sounds, flashing lights and or dark places. If you show them the video of what it is like, it may help ease some anxiety of a new ride that they really want to try! Ride Tip: When on Ninjago the Ride the sensors are right at your hand level but if you put your hand just a bit higher while still keeping the motion of throwing your Ninja stars, the accuracy is better! Practice makes perfect, all Ninjas need training! 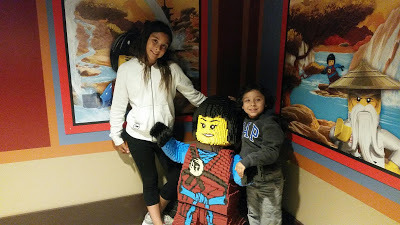 We had an amazing time previewing Ninjago World. I think that my favorite part is seeing the new Lego structures that have been added to the new Ninjago World. There are 22 new LEGO models that can be found in NINJAGO World including two five-foot guardian dragons protecting the entrance built from 77,280 LEGO bricks, models of Master Wu, ninjas Jay, Lloyd and Kai plus swords of the four elements. I came in 3rd place both times we rode Ninjago the Ride so I will be practicing my Ninja Star Throwing Skills at home for the next time we visit! Here is the official press release with all the deets on the technical stuff... 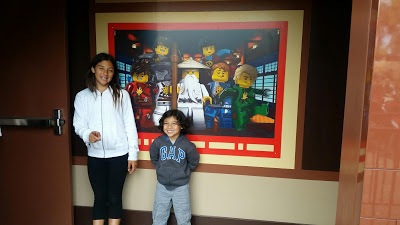 I can tell you that we all are huge fans of Ninjago World and the Ride! NINJAGO World features five attractions all designed to test guests balance, agility, speed and creativity: Zane’s Temple Build, Kai’s Spinners, Cole’s Rock Climb, Jay’s Lightning Drill and NINJAGO The Ride. At Zane’s Temple Build, guests can free build with LEGO bricks around an ornate LEGO Monastery created out of 859,554 LEGO bricks that stands nine-feet high in the center of the courtyard. Next to the monastery stands a 500 pound LEGO model of ninjas Nya and Zane created out of 73,600 LEGO bricks that took four Model Builders 550 hours to build. The model depicts Nya (ninja of water) hurling water at Zane (ninja of ice) who turns the water to ice in midair as part of their training. At Kai’s Spinners, guests can test their balance as they stand on a spinning platform and twirl. At Cole’s Rock Climb, kids can test their agility as they scale a rock wall built alongside the main temple. And guests can test their speed by pushing the lit up buttons in a timed speed cage at Jay’s Lightning Drill. 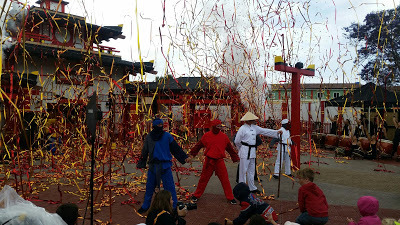 All of this training prepares them for the ultimate ninja experience…NINJAGO The Ride! For the first time in any theme park in North America, NINJAGO The Ride enables guests to demonstrate ninja skills by simply using their hands instead of a hand-held device. The Maestro hand gesture technology is manufactured by Triotech, the world leader in media based interactive attractions, and enables guests to throw fire balls, shock waves, ice and lightning to defeat villains. 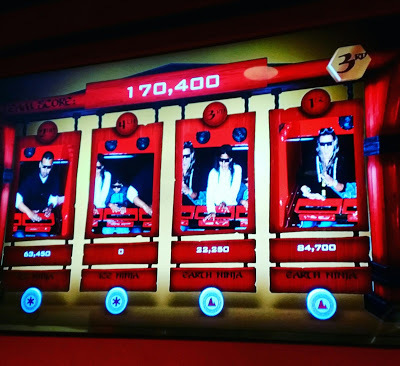 Riders collect points for their training and battle efforts throughout the ride and scores are displayed when their quest is completed. Effects such as heat, smoke and wind are incorporated throughout the adventure, giving guests the ultimate interactive 4D experience. “The 4D elements are installed at key moments around the ride to accentuate the scenes and enhance the sense of immersion,” said LEGOLAND California Resort’s Project Manager Chris Brzezicki. Up to four guests sit in each ride vehicle and are guided through 13 different scenes beginning with a quick introduction by Master Wu who welcomes guests to his training dojo and gives instructions on how to practice and prepare to battle together, using the elements and only using their hands to launch them at the enemies. The enemies encountered in the next scenes include snake tribes, skeletons, ghosts, Lord Garmaddon (king of the Skulkuns) and ultimately, The Great Devourer…a giant serpent who can only be defeated by all of the ninja riders working together and using all the elements. 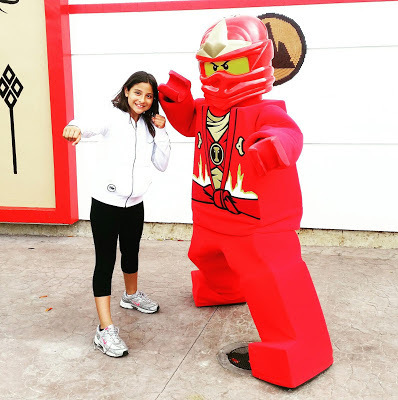 NINJAGO World opens May 5, 2016 and is included in admission to LEGOLAND California Resort. For more information, log onto www.LEGOLAND.com or call (760) 918-LEGO (5346).